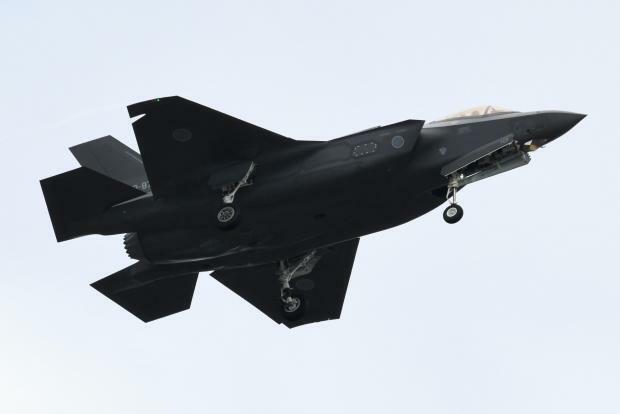 This file photo shows an F-35 fighter aircraft of the Japan Air Self-Defense Force taking part in a military review at the Ground Self-Defence Force's Asaka training ground in Asaka. One week after an F-35A stealth fighter jet crashed off the northeastern coast of Japan, US and Japanese military vessels are struggling to find the wreckage and protect its valuable "secrets." "The F-35A is an airplane that contains a significant amount of secrets that need to be protected," Iwaya told reporters. Akira Kato, a professor of international politics and regional security at Tokyo's J.F. Oberlin University, said rivals China and Russia would have "a strong interest in collecting even a single screw of the state-of-the-art plane." "Even if Japan and the US find it, they may not disclose details, including its exact location, due to concerns that China and Russia might try to collect it," Takesada told AFP. US defence contractor Lockheed Martin touts the hi-tech fighter as "virtually undetectable" and says it allows the US and its allies to dominate the skies with its "unmatched capability and unprecedented situational awareness."